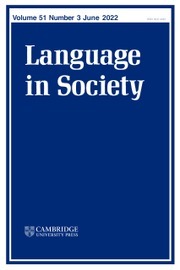 Language in Society is an international journal of sociolinguistics concerned with language and discourse as aspects of social life. 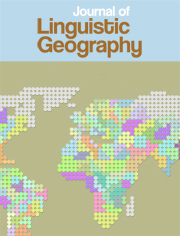 The journal publishes empirical articles of general theoretical, comparative or methodological interest to students and scholars in sociolinguistics, linguistic anthropology, and related fields. 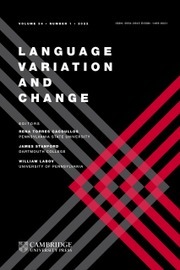 Language in Society aims to strengthen international scholarship and interdisciplinary conversation and cooperation among researchers interested in language and society by publishing work of high quality which speaks to a wide audience. In addition to original articles, the journal publishes reviews and notices of the latest important books in the field as well as occasional theme and discussion sections.